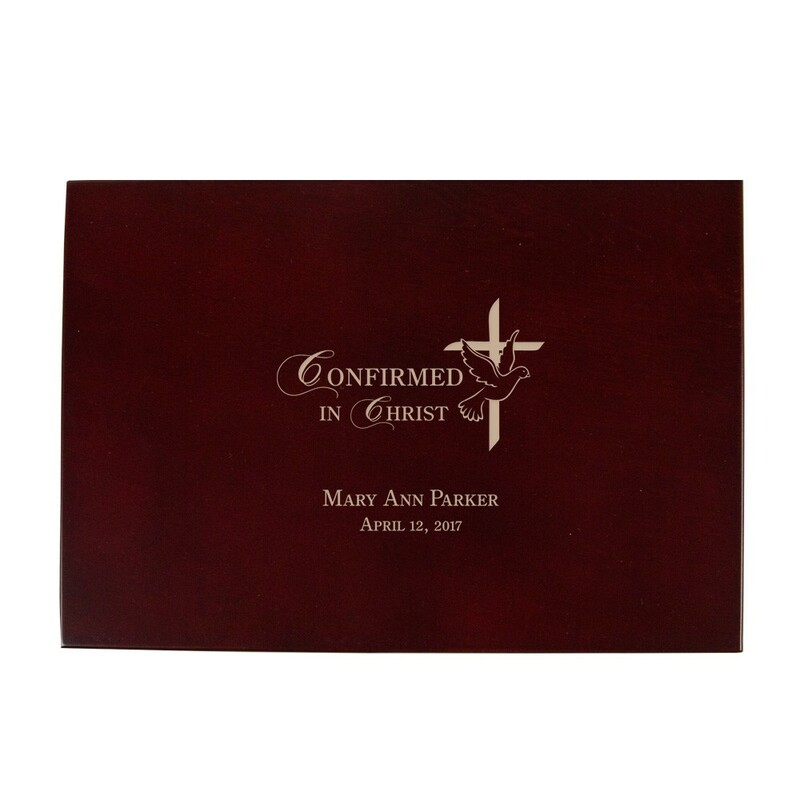 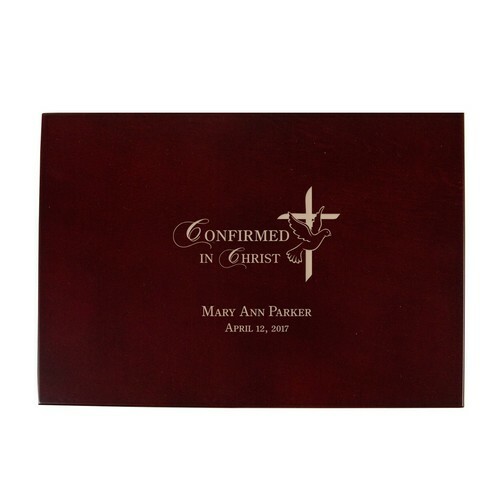 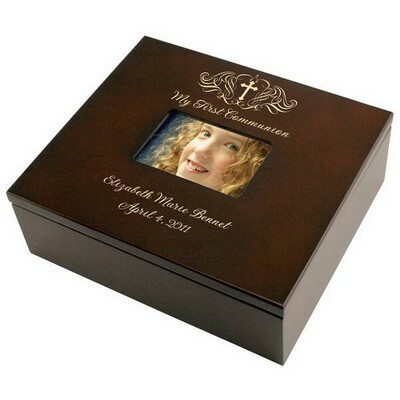 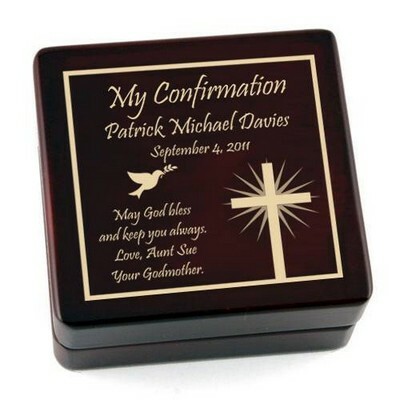 Commemorate a momentous event for a special person in your life with the Confirmed in Christ Rosewood Keepsake Box. 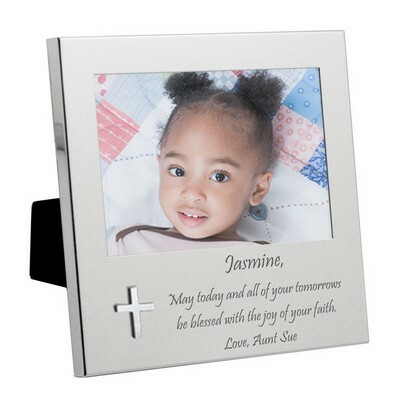 This is the perfect personalized gift for someone who has recently devoted their life to Christ. 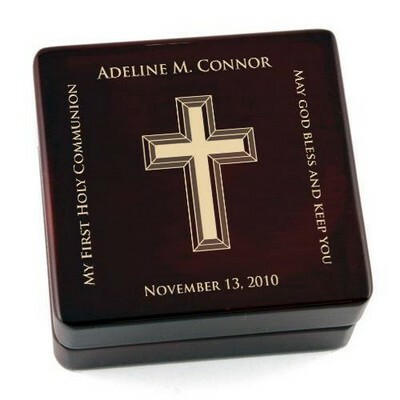 The solid rosewood finish box and sleek laser engraving provide an air of distinction to this gift. 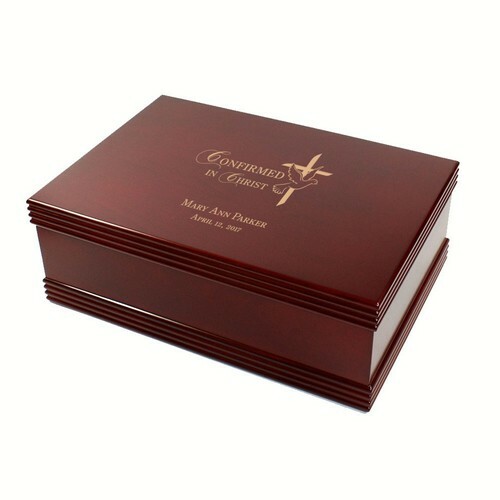 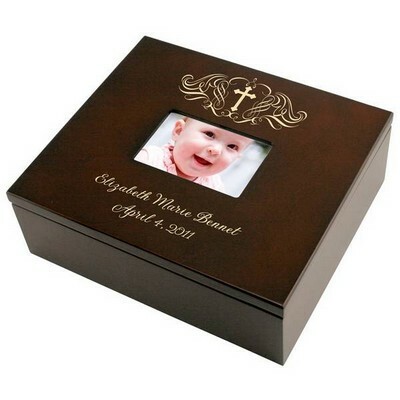 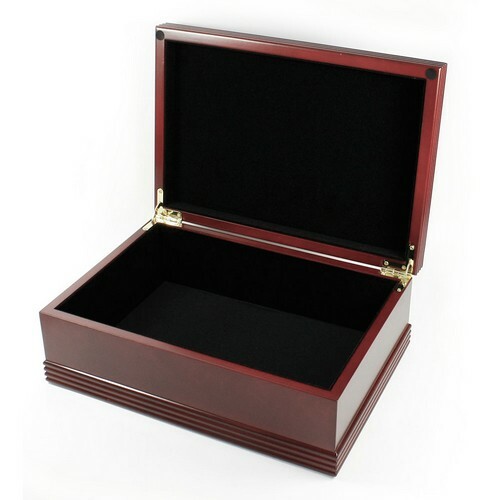 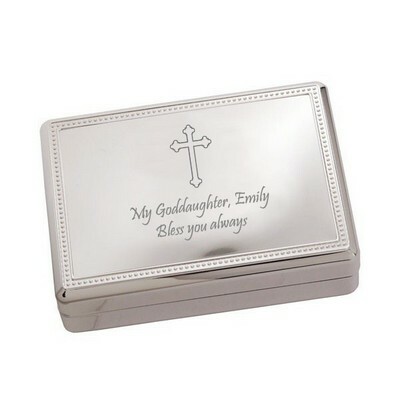 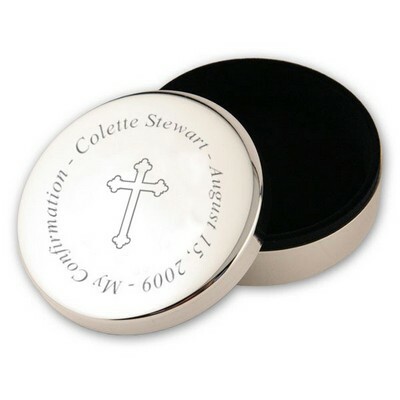 The 11 1/2 x 8" x 4 1/4" dimensions provide a generous amount of space for keepsake storage. 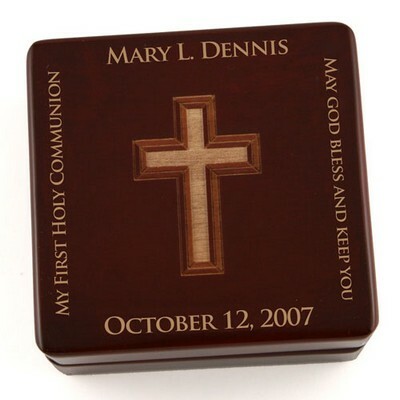 Measures 11 1/2 x 8" x 4 1/4"
You can earn 100 MG Rewards Points on this product!